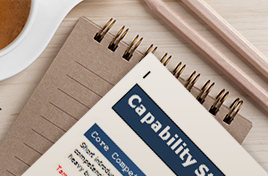 The bid / no bid decision is one of the single most important decisions a company will make during the pursuit of an opportunity; however, many organizations focus on one element of the opportunity – capability. · Do we have a capture plan? · Have we performed a SWOT (Strengths, Weaknesses, Opportunities, Threats) analysis for this opportunity? · Have we performed a Price-to-Win analysis? · What’s the NACIS and size standard? · Is the NACIS listed within our SAM registration? · Are there a socio-economic factors to consider? · Are we a large or small business within the NACIS? · Have we engaged the customer? · Did we attend the customer Industry Day? · Do we know the customer budget; how much they have allocated to spend on the effort? These considerations are just a few of the most common questions to consider for the pursuit decision; most of which are captured in the early stages when the Government is still in the early stages to determine the acquisition strategy. 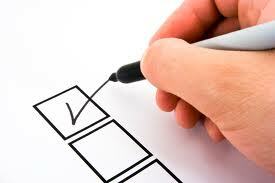 Early involvement ensures a “no” response can be revised to a “yes” which improves the probability of win (Pwin). Obviously, the larger and more complex the requirements, the earlier in the acquisition lifecycle you should begin. In order to help “shape” or define some of these factors early on it is important to respond to the market survey or request for information (RFI), engage the customer, and fully understand their ultimate goal. As companies seek “to do more with less” they target their market, identify opportunities early, engage the customer, and make the all-important bid / no-bid decision based on their ability to win vs their ability to perform the required word. For the complete check-list of items to consider ahead of the bid decision or more information about strategic positioning and its impact to your company growth, sign in or register today.